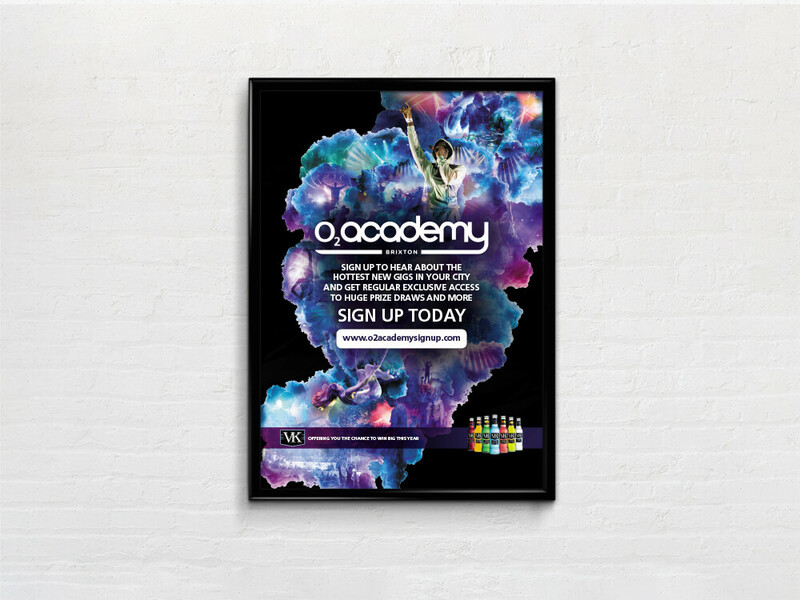 Academy Music Group are behind some of the UK’s most loved music venues. 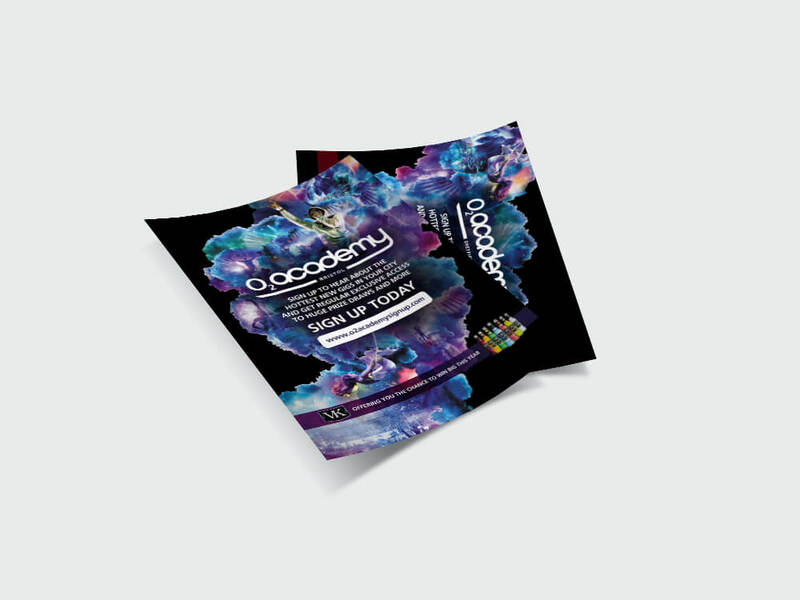 We were enlisted to design an eyecatching Sign Up campaign for multiple locations from O2 Academy Brixton to O2 Ritz Manchester. In the design of this campaign we were provided with photography of acts from a range of venues and requested to design a vibrant and attention-grabbing image that would encompass all musical genres and work across a range of mediums. After the initial designs were agreed the same brand was then applied to the rest of the marketing materials for the campaign. This included print design for banners, flyers, flags and posters. There was a huge online push for this campaign too, so the design of social media graphics, google adwords campaigns, digital popcorn screens as well as animated gifs and MP4s was also required.